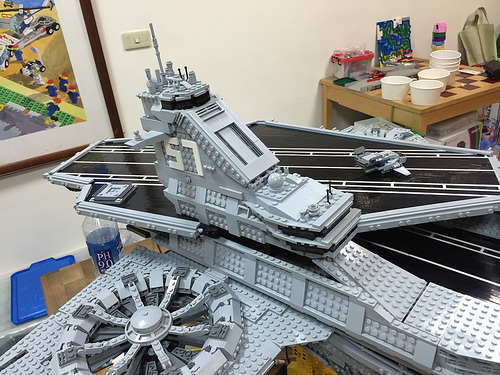 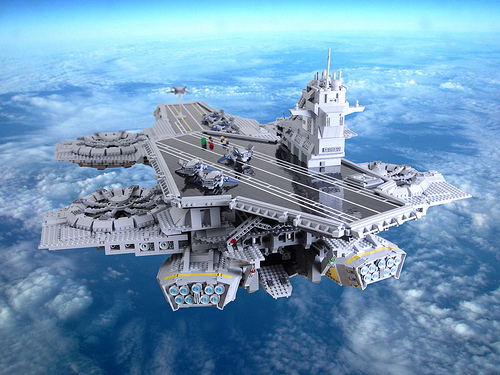 The most anticipated LEGO set of 2015 was the enormous Avengers SHIELD Helicarrier. 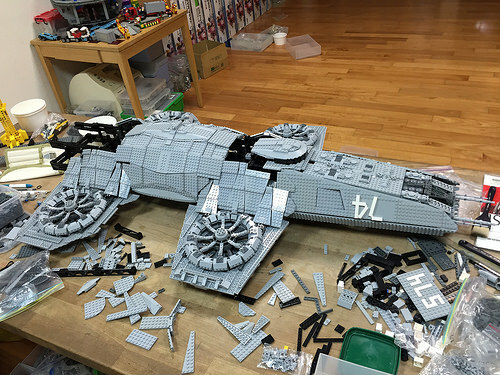 As we highlighted in our extensive video review, there was a lot to like about that set, except for the relative scales of the carrier, the microfigs, and the quinjets. 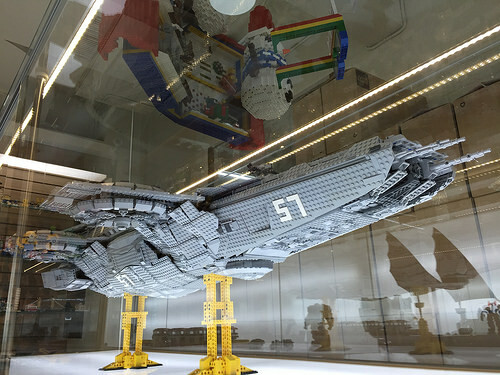 And while some builders have explored more ambitious LEGO Helicarrier designs within the confines of a computer screen, no-one has dared tackle the challenge of building a more properly scaled and movie-accurate version of the Avengers’ flying fortress using actual LEGO bricks …until now! 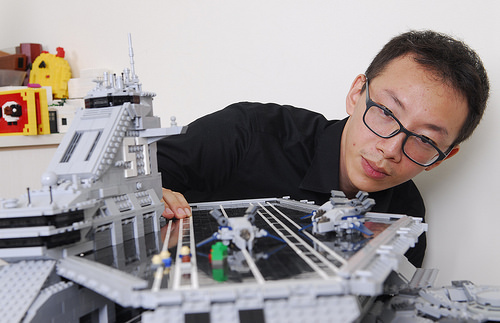 Working with nothing more than reference photos from the 2012 Avengers movie, Taiwanese builder ZiO Chao and a his friends Dada, Kimura, Kuan-Wei, Stephanie, Tiger and Will from the Formosa LEGO club spent a month and a half (and many sleepless nights) constructing this enormous and fully detailed model of the iconic Helicarrier. 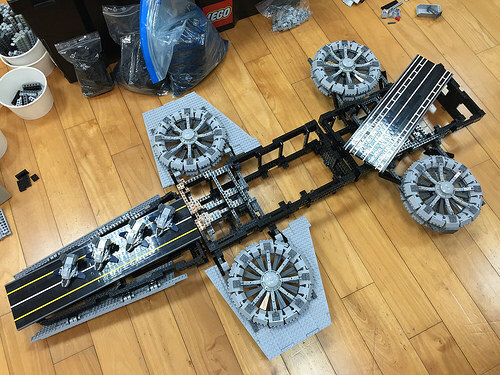 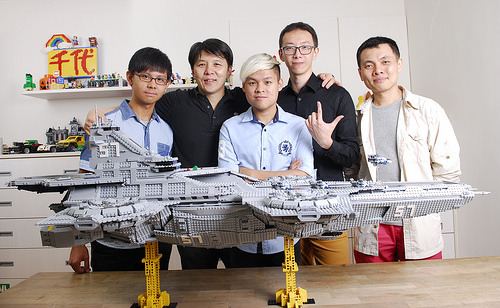 At 140cm x 80cm it’s twice the size of the official LEGO set, and contains five times as many pieces. 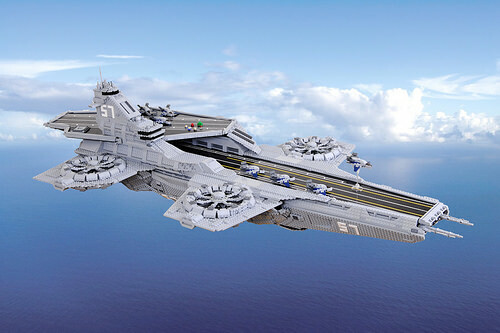 At last, those “swooshable” little quinjets now actually have room to move around!